There can be periods in your life when you only have time to go to the gym once or twice a week. In this case the best you can do is a short and intense full-body routine to work all your muscle groups. 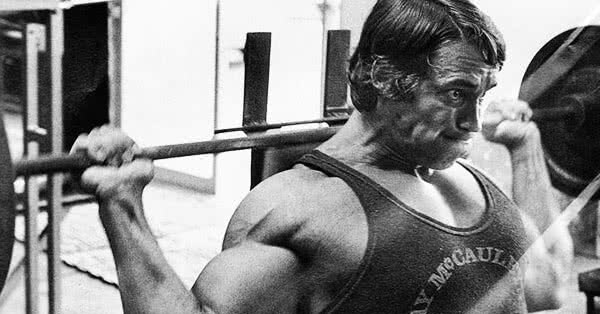 So, below you can read the one Arnold used himself and recommended to his clients as well. You might plan your daily or weekly routine as accurately as you can. However, it can happen that you are happy to visit the gym once a week instead of the usual 3-5 times, for reasons that are outside of your control. At times like this, one option is to stick with your plan rigorously and work the muscle group that is due on that day. 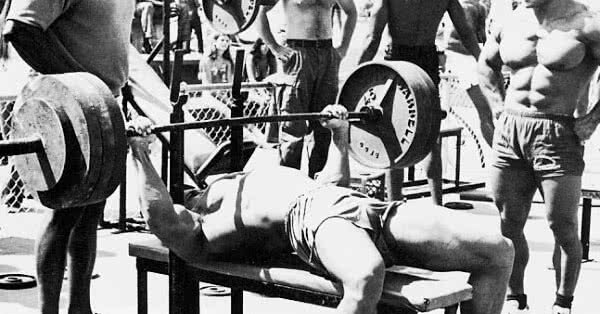 This is not the best scenario, as it leaves the rest of your muscles without training. The other (maybe self-evident) option is to work your full body thoroughly. Doing so, each of your muscle groups will get enough stimulus at least once a week, which can be enough to keep you in shape. If the necessary intensity and the highest possible load are provided, a workout of this kind can really spice up your routine. 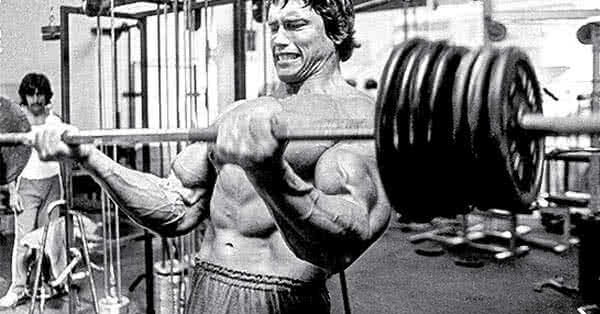 Arnold was famous for doing high-volume workouts. But as soon as he retired from professional bodybuilding, he changed his workout habits as he had less and less time to work out the way he used to. However, he needed to keep in shape. On one hand, for movie roles. On the other hand, he had never really cut himself off from bodybuilding and regular workout until he began his political career, which came much later. But until then (and also before, when he was short of time), he applied his own full-body routine every now and then, which he had not changed for decades. Easy as pie. These are six exercises with 17 sets altogether. You can finish it off shortly and intensely. Thanks to the basic exercises, the larger muscle groups get full stimulation. But all the other muscle groups that will not be worked separately, will get some load too, from the presses (like shoulders or triceps). In this interpretation, the “Golden Six” is less strenuous and may be easier to complete for many.Still you would definitely not experience poorer results compared to the original version. The only difficulty may arise from the lack of machines. If you work out at home, for example, you can still vary the exercises. All you need is imagination! If you have trouble doing pull-ups and there is no pulley machine at your disposal, you can still do bent-over dumbbell rows... be creative and pick alternative exercises, from here, for example.